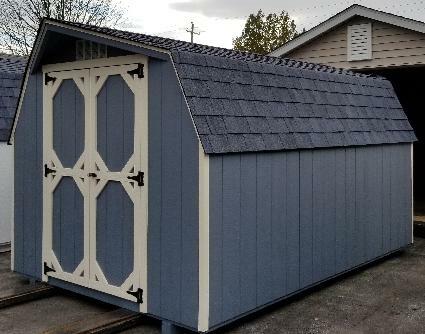 This shed is painted blue with navajo white trim. It has 4' double wood doors with a diamond plate sill. There is a single window and metal peak vents.